When it gets warm here, I always get the itch to get up in the mountains to enjoy the fresh air! 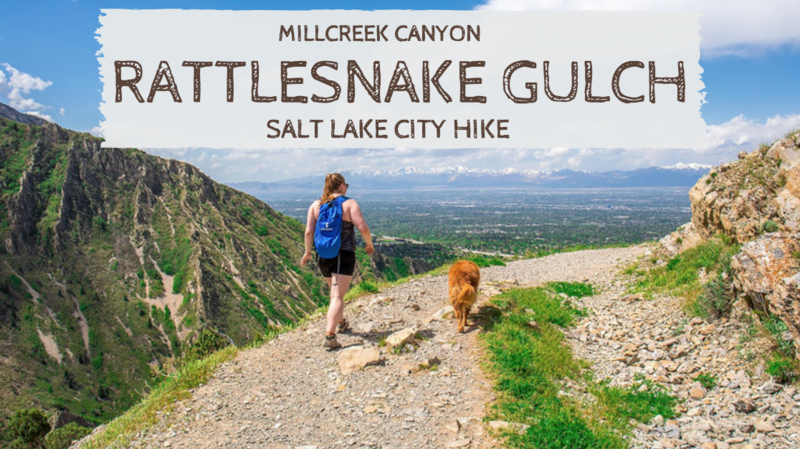 This weekend, we did one of our go-to hikes located in Millcreek Canyon– Rattlesnake Gulch. 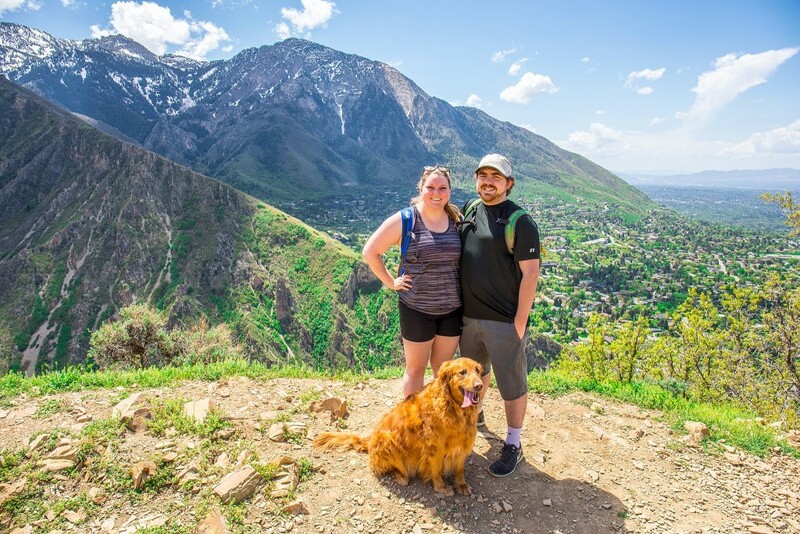 The mountains near Draper aren’t nearly as green as South Salt Lake area, so we wanted to go take advantage of the springtime weather. It ended up being a lot hotter than we anticipated! If you go, be sure to bring hats, sunglasses, sunscreen, and plenty of water! While we were on the hike, I realized we’ve been on this hike once when we were first dating, once when we were first engaged, and now it’s been a year since we’ve been married! It’s fun seeing the progression in the photos below! 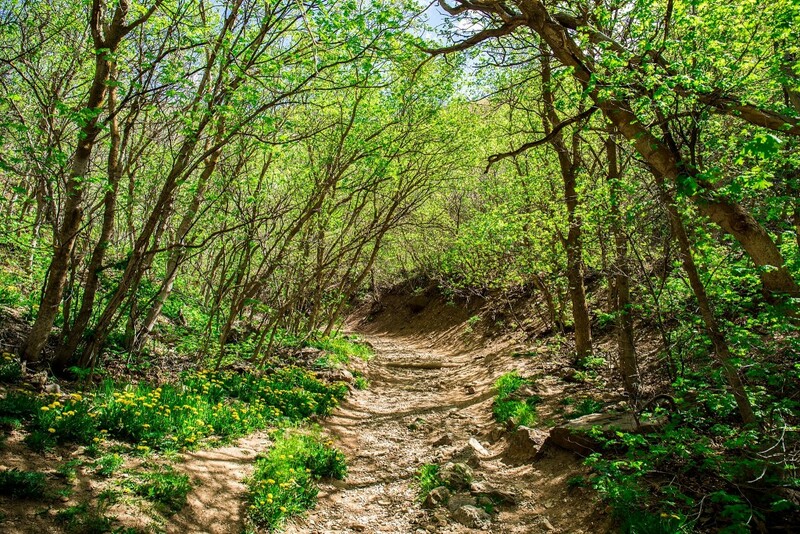 This hike is located in Millcreek Canyon, which is off 3800 South and Wasatch Blvd in Salt Lake City. Turn east onto 3800 S, and follow the road up past the fee station for approximately a mile. The trailhead is on the north side of the road with a sign pointing to the trailhead labeled as the “pipeline trail” as it connects to the Pipeline Trail as well. 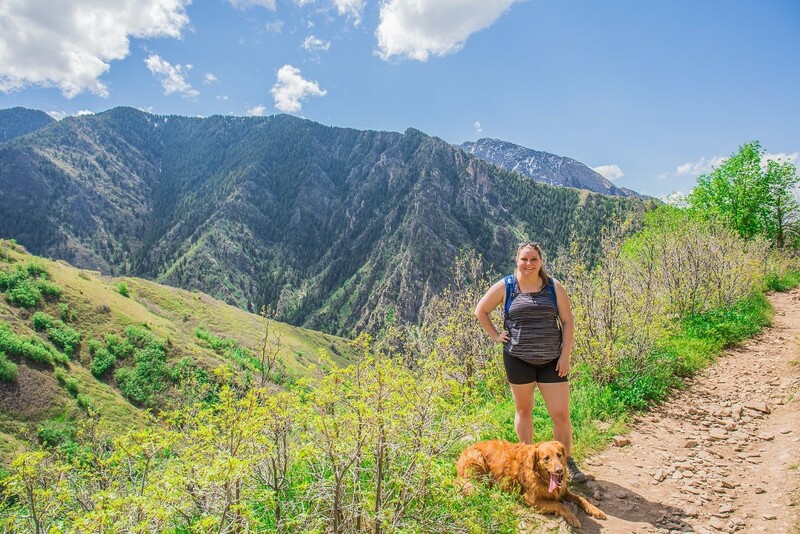 This is one of my favorite hikes to do at the beginning of the hiking season (end of spring/early summer) because it’s one of the first trails to get really green and now that we have a dog, it’s dog-friendly! It also gets pretty hot since there’s only shade part of the way, which makes it a great choice before it gets too hot in the middle of summer. 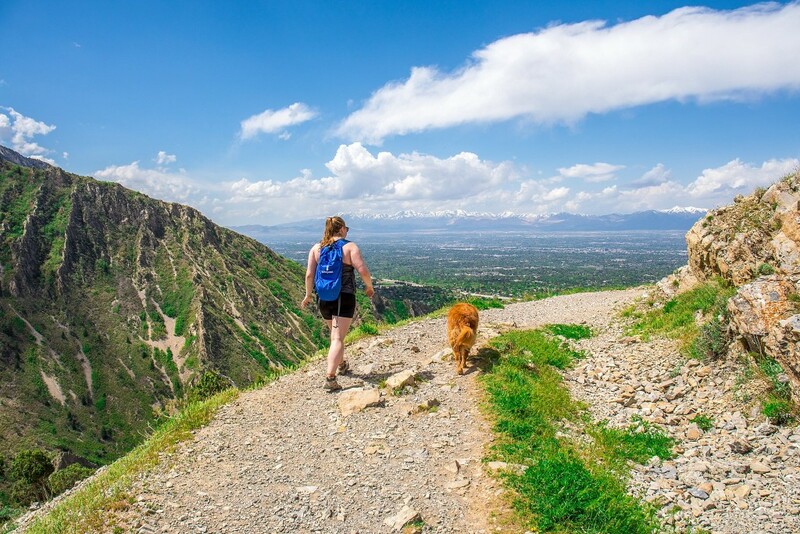 This trail features views of Salt Lake City and into Millcreek Canyon with a perfect distance/elevation gain for a short weekend hike or a nice after-work evening hike with your pup. We saw LOTS of people with their dogs and families today on the trail. 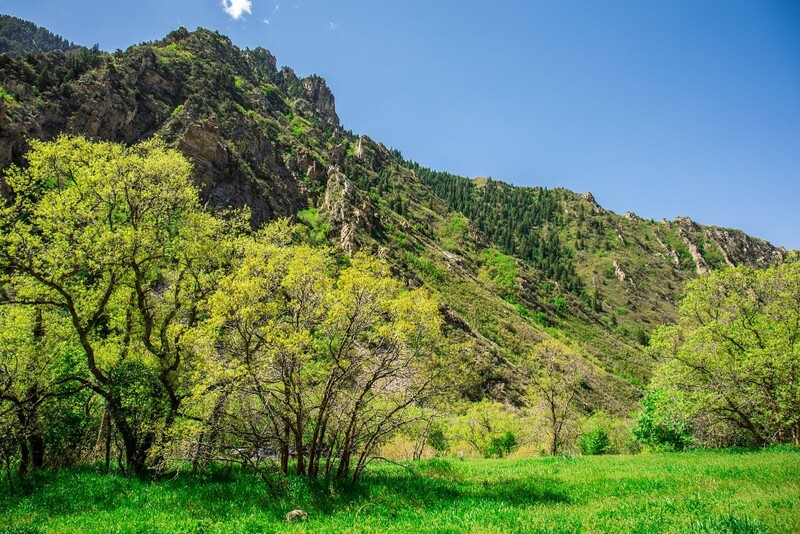 The beginning of the hike starts with climbing up towards the Pipeline Trail which connects several trails within Millcreek Canyon. This part is mostly shaded, with some rocky sections, so use caution and good stable running/hiking shoes are recommended. After you get about halfway through the climbing portion, the trees clear temporarily for a great view of the canyon. The trail continues climbing until you reach a split off that will be marked with a sign. For the overlook, turn left. The sign is faded/worn out in some parts, but it says “Pipe Line Overlook, 1 mile” with an arrow to the left. This is where you’re going. From here, there is a little more climbing but the trail flattens out quite a bit after the trees clear. 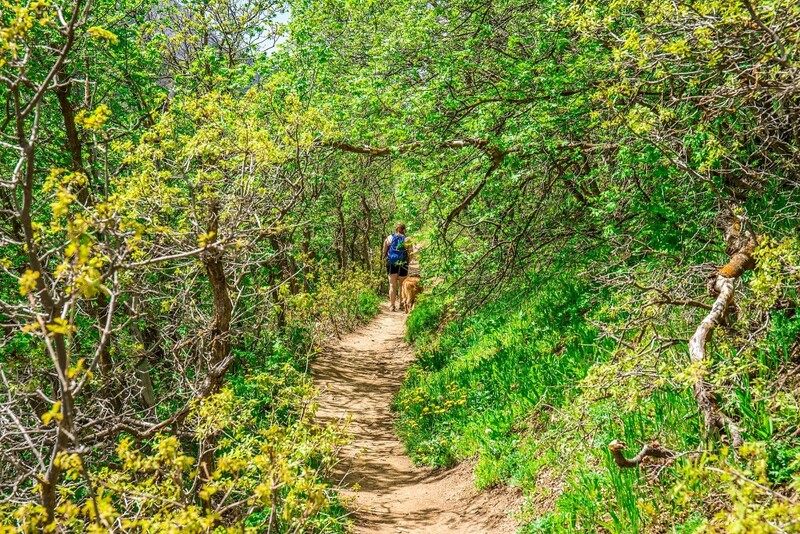 This is a very sunny/hot portion of the trail if you’re going in warmer months. It’s only the beginning of May, and I got burnt! Remember to bring plenty of water for everyone in your party. Our poor doggy was very worn out from the heat today, so we took lots of breaks. 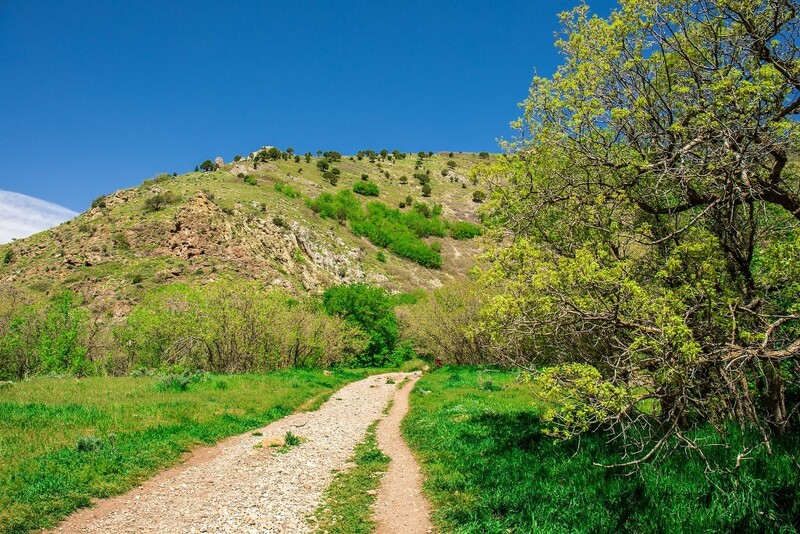 Continue following the trail as you hug the mountainside and admire the views of Salt Lake that open up to you as you hike. This is my favorite part because you can look down to see how far you’ve come and get a great view of Mt Olympus/SLC! When you’ve reached the “nub” in the mountain with large rocks, and the trail turns to continue upwards, you’ve hit the overlook! 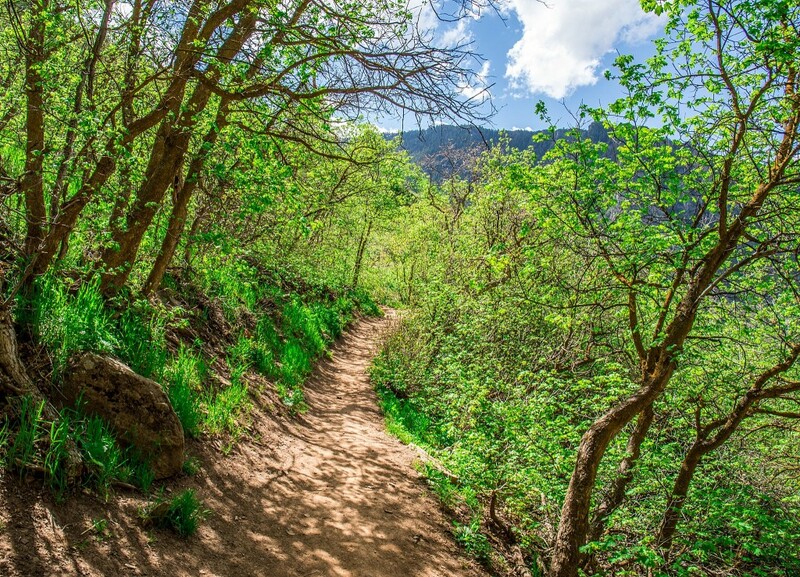 It’s a busy trail, so you’ll know you’re there since many people sit and enjoy the view they earned here. The trail does continue, but I’ve never continued past this point. Maybe someday! After a short break, you just return the same way you came. 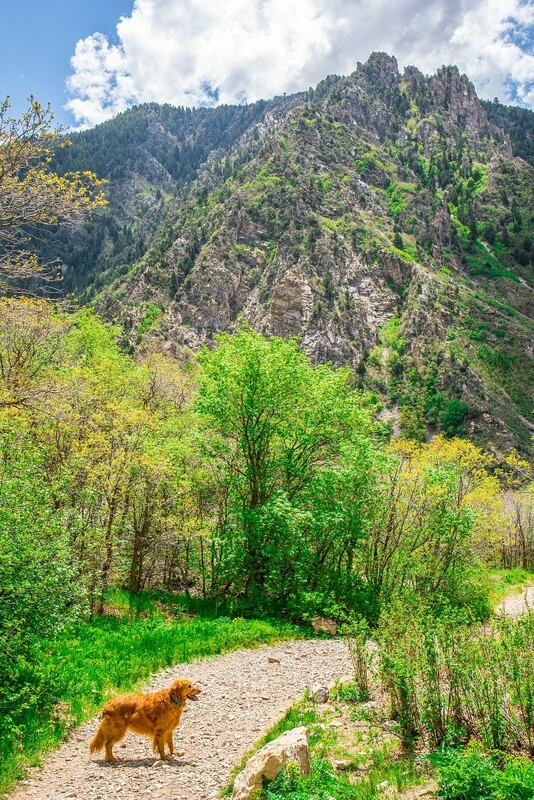 What are some of your favorite Salt Lake City/Millcreek Canyon trails?